I was a painting contractor for many years and was known throughout the area for my integrity, reasonableness and for my attention to detail. I also have experience renovating homes. This experience, along with my training through AHIT and InterNACHI schools qualifies me to perform Home Inspections. 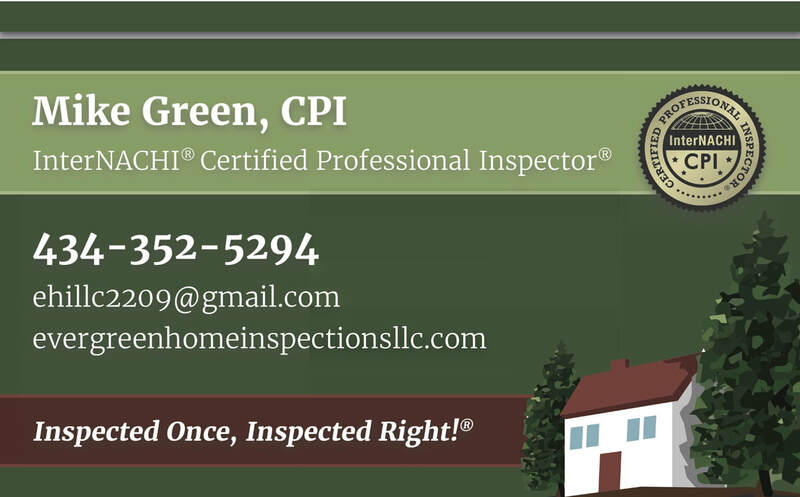 I will provide you with the highest quality home inspection report that is precise, honest and easily understood. I promise that my inspection will be impartial and that it will put you in a better position to make informed decisions, whether you are buying, selling, or having a maintenance inspection. Your report will identify major defects and potential fire and safety issues. As you are aware, all homes need regular maintenance. Therefore, I also include "suggestions" to inform you of needed maintenance. For example, I might note that "caulking has deteriorated around the tub." Taking care of such "minor" issues (preventive maintenance) will prevent you from having to make major repairs later. I am fully committed to meeting or exceeding the "Standards of Practice" as mandated by Virginia and promoted by such organizations as InterNACHI and ASHI. I have sworn to abide by InterNACHI's code of ethics.